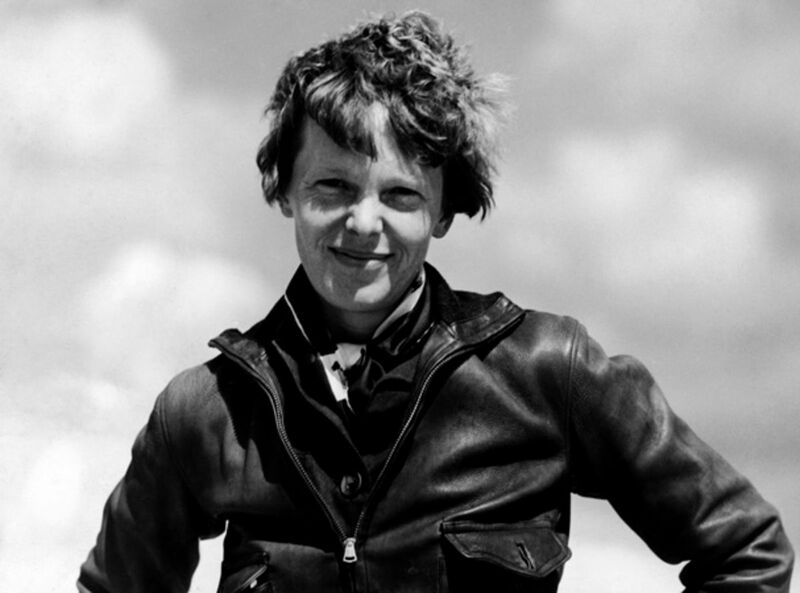 Amelia Mary Earhart (July 24, 1897 – disappeared July 2, 1937) was an American aviation pioneer and author. Earhart was the first female aviator to fly solo across the Atlantic Ocean. She received the U.S. Distinguished Flying Cross for this record. She set many other records, wrote best-selling books about her flying experiences and was instrumental in the formation of The Ninety-Nines, an organization for female pilots. Earhart joined the faculty of the Purdue University aviation department in 1935 as a visiting faculty member to counsel women on careers and help inspire others with her love for aviation. She was also a member of the National Woman's Party, and an early supporter of the Equal Rights Amendment. Here is a picture of her childhood home in Atchison, Kansas. It sits on a bluff overlooking the Missouri River. She died in the Pacific with Fred Noonan, her Task Companion.